Loretta Pickard died in a fire inside her home. The fire captain who responded was later suspended for taking Snapchat images from the scene. LAKELAND, Fla. — An inexperienced firefighting crew dealing with a significant fire and communication issues became a "perfect storm" during an emergency call that led to a woman's death. Such is the narrative in Polk County Fire Rescue's 45-page report on the deadly Nov. 23, 2018, fire. Inside the log home on Rockridge Road in North Lakeland, a frightened Loretta Pickard got on the phone with 911 as a fire spread. Her family said she underwent hip surgery and could not escape by herself. "They know I’m in here, right?" Pickard, 76, asks the 911 dispatcher. Eventually, Pickard says she hears the sirens. The dispatcher responds she'll stay on the line. The two remained on the line for 20 minutes. And, during that time, no one reached the home in an attempt to save her. Captain James Williams relayed there was too much of a risk to enter Pickard's home; he said the structure was unstable, according to the report. Making matters worse, there were no immediate hydrants, and overgrown trees blocked rescuers' access, keeping them back some 300-400 feet. Fire rescue said Pickard's first call for aid was made to a family member, not 911, which delayed their help. When Pickard finally was able to get in contact with the 911 dispatcher, fire officials said the notification of someone trapped inside the house came late in the response. The dispatcher discussed things that were not important to the response, the agency said, and she should have further encouraged Pickard to make an escape. Williams reported fallen power lines were an obstruction for crews exploring access to the home. Rather than going inside, Williams instructed responding firefighters to go on the defense and knock down the flames. 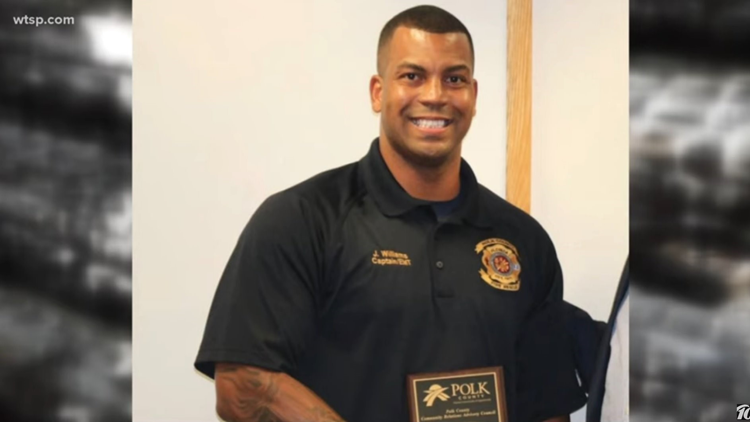 Williams would go on to suffer a burn, with no treatment necessary, in his efforts, Polk County Fire Chief Tony Stravino previously told 10News. It was not noteworthy enough to make the report which said: "No firefighters were injured while working on the scene." The report is clear: Williams and his responding firefighter "should have exited the apparatus breathing air and headed to the structure with forcible entry tools." The crew also should have done a more thorough examination of the structure -- aside from where a power line fell -- to find a way to get inside, investigators found. A "two-in, two-out" rule was misunderstood by Williams; the report said in the case of entrapment, two firefighters can attempt to get inside a burning structure without a backup crew. He opted not to go inside at all, but there might have been an opportunity to save Pickard given the circumstances. Fire rescue said a review of the initial call showed a likely majority of the fire was in the attic -- above Pickard, who was caught in her living room. "The possibility does exist there was a very short period of time when the living space of the home could have still be entered by responders and a rescue attempt made," the report reads. However, the fire quickly spread, and "a high probability existed that this incident could have claimed the lives of two firefighters if they became disoriented in the smoke or if the structure collapsed while they were inside." Fire rescue officials acknowledge the call on Nov. 23 had the highest level of danger for any firefighting crew and it, coupled with inexperience, was "overwhelming" for those involved. The amount of inexperience is a representation of the county's fire rescue personnel overall given recent growth, the report said. Willams, for example, had fewer than two years of experience as a captain. After the fire, it would be revealed he sent Snapchat images from the scene and was suspended for 24 hours -- the equivalent of three days' pay. It wasn't the last: 10News in mid-February uncovered a new video that Williams appeared to have taken and shared from another fire five days earlier. Pickard's niece, Amber Addison, is even more furious. “We have got to put an end to this,” Addison said. “Just focus yourself on what you’re supposed to be thinking about. Why are you even thinking about social media? The county said it would consider another internal investigation of Williams. In the meantime, he's been placed on administrative duty. Fire rescue said of its review of this deadly incident, there is a need for more training of captains, additional hydrants in the area and programs to better inform residents of the importance to keep a path to their home clear. "... rescue of those trapped in structure fire situations will be nearly impossible, especially for those individuals" who cannot move.